The U.S. Justice Department has appointed three new executives within the agency’s national security division and renamed an internal program for coordinating counterterrorism initiatives. 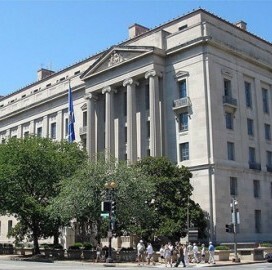 Mary McCord was named as NSD’s principal deputy assistant attorney general, Anital Singh was appointed counselor and full-time chief of staff, and Luke Dembosky will assume a newly created role of deputy assistant attorney general, DOJ announced Tuesday. The Anti-Terrorism and Advisory Council Coordinator initiative has been redesignated as the National Security Coordinator/ATAC program to better reflect the department’s work to address security issues across the U.S.
McCord has worked in the U.S. Attorney’s Office for the District of Columbia for almost two decades and most recently served as the district’s criminal division chief. She also held the position of appellate division deputy chief for more than five years and clerked for Federal District Court Judge Thomas Hogan. Singh joined NSD in 2011 as deputy chief of staff after serving as the National Security Council’s director for intelligence programs and reform. Her legal career started in the DOJ criminal unit’s computer crime and intellectual property section and later she served as cybersecurity counsel to assistant attorneys general. She was a management strategy consultant at Boston Consulting Group before entering federal service. Dembosky is former litigation deputy chief within the agency’s CCIPS and was assigned to Moscow to represent the department during a U.S.-Russia cooperation on IP and cyber matters. Before that, he was part of the agency’s computer hacking and intellectual property network of federal prosecutors in Pittsburgh and worked for a Philadelphia-based law firm.